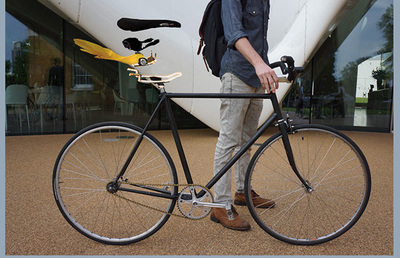 PROBLEM: WHEN YOUR ON YOUR BICYCLE AND IT STARTS TO RAIN. SOLUTION: BIKE PONCHO IS FULLY INTEGRATED INTO THE BICYCLE SEAT, PROVIDING ADDED UTILITY TO THE RIDER. 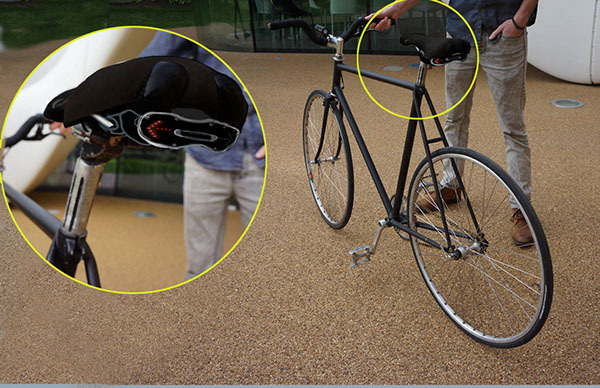 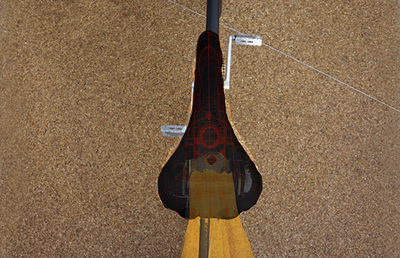 a bicycle seat with embedded turn signals and retractable poncho for adverse weather.